Here’s a snippet from the first section (explaining the criteria for getting A and above); full details (including how to get a B) are in the full New York Times article. ¶ The A+ grade is used only in very rare instances for the recognition of truly exceptional achievement. For example: A term paper receiving the A+ is virtually indistinguishable from the work of a professional, both in its choice of paper stock and its font. The student’s command of the topic is expert, or at the very least intermediate, or beginner. Nearly every single word in the paper is spelled correctly; those that are not can be reasoned out phonetically within minutes. Content from Wikipedia is integrated with precision. The paper contains few, if any, death threats. A few things can disqualify an otherwise worthy paper from this exceptional honor: 1) Plagiarism, unless committed with extraordinary reluctance. 2) The paper has been doused in blood or another liquid, unless dousing was requested by the instructor. 3) The paper was submitted late (with reasonable leeway — but certainly by no more than one or two years). An overall course grade of A+ is reserved for those students who have not only demonstrated outstanding achievement in coursework but have also asked very nicely. Finally, the A+ grade is awarded to all collages, dioramas and other art projects. ¶ The instructor may at her discretion supplement the A+ with one or two additional pluses (A++ or A+++). This grade is known as the A+ with garlands. Garlands are generally awarded for no reason. 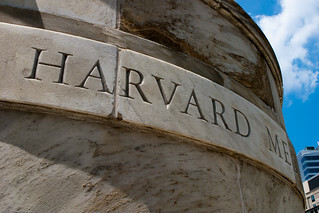 ¶ The A grade, still exceptional, is reserved for work that is nearly as excellent as that receiving the A+ and that would receive the higher grade if not for some minor and easily excused flaw, such as that the student is not enrolled at Harvard. Oh, and wait until you see how to get an A- or something in the B range … For the full article, check out the New York Times!